In the 90's it was always 12:00 at our house. Yes, I am sort of a tech junkie but the VCR flashed "12:00" for a decade. Then my children took over. Since then I have relied heavily on my kids to help me program and update and change the settings on all my gadgets. What do you do when you're kids aren't around? 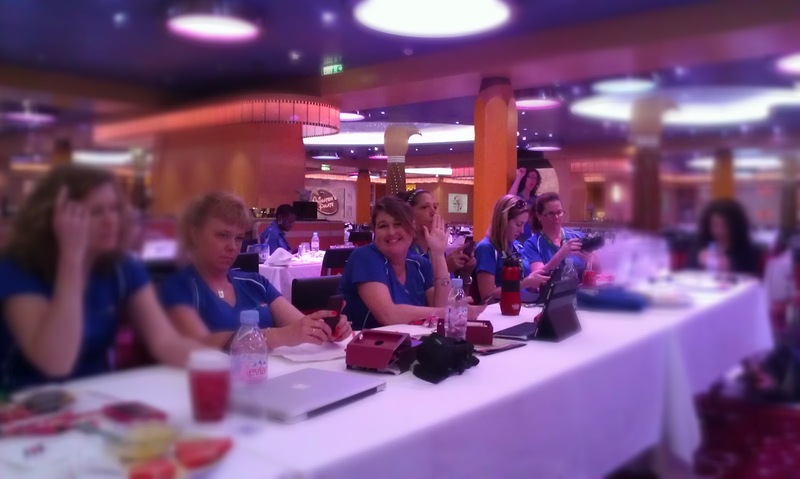 Recently a group of TravelingMoms all met up on the Disney Cruise ship Fantasy for the inaugural launch of this new addition to the Disney Cruise ship line. 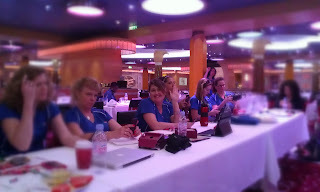 We were given the use of the new HTC Rhyme smart phones during the cruise. 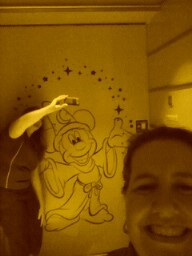 With no kiddos by my side I had to figure this one out all on my own. We did have a little help from photographer extraordinaire, Kymri Wilt, who gave us some pointers on photo composition and terminology - like what ISO means and when to use it. All of this information went by very quickly. We all played with our phones, I mean cameras, and here are some of the results of my photo challenge. One of the picture taking skills that my children seemed to have been born with but I have not mastered yet is the self portrait. There is still work to be done on that skill but it was super easy to switch from one special effect to the next allowing me to take pictures that could be uploaded to facebook right away without having to go home and then add effects later. 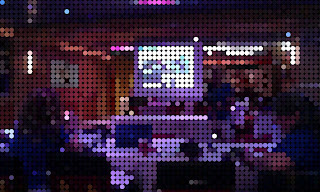 This next effect cubed the picture and I imagine it would come in handy if you wanted to go home and then recreate a picture out of legos. This picture effect would be a good guide for that. I also imagine it would be cool taking pictures of something in the distance. This picture is of Kymri and the projection screen - not a perfect composition but I'm still learning. 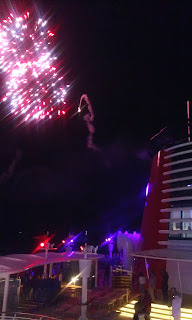 Here was my attempt at capturing the fireworks show off the deck of the ship. If my kids had been there they would have reminded me that there is a Burst feature on the camera which takes a series of pictures very quickly to be able to capture fast action shots. I remembered there was a burst feature just shortly after the fireworks show ended. This effect was one of my favorites. 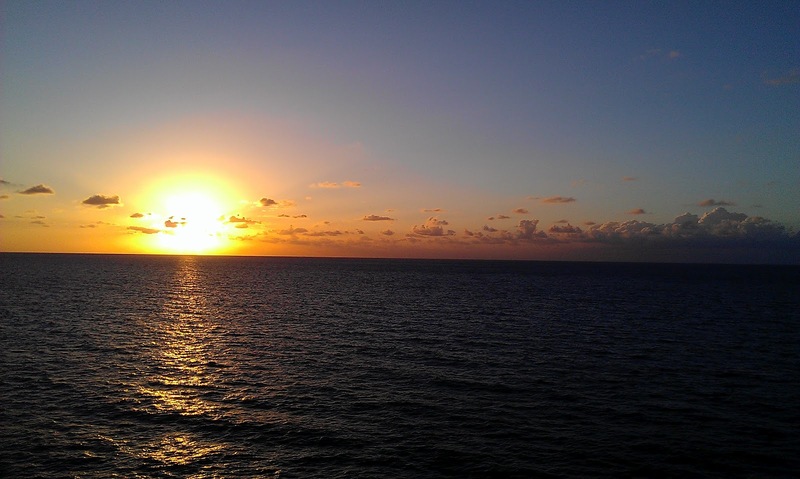 It allows you to focus on one subject in your picture and have all the edges blur out. Hi Birthday Girl Barb! The camera took great pictures too. 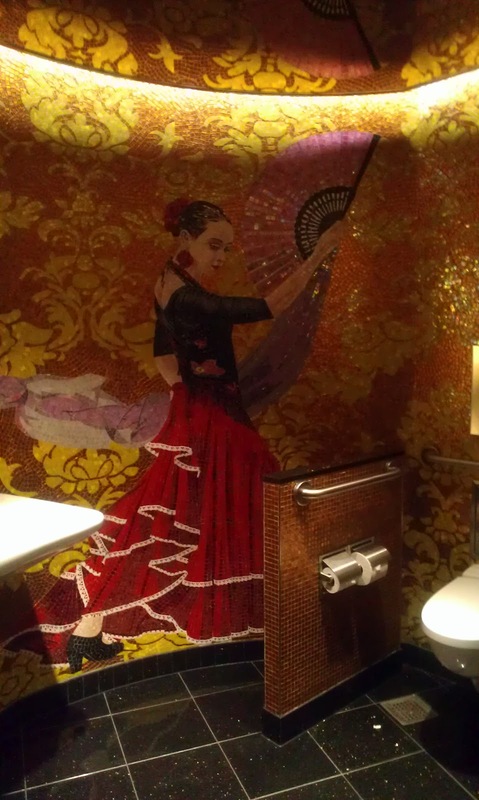 The attention to detail on the Disney Cruise ship Fantasy overflowed into the bathrooms. In one set of bathrooms the tile work was hand done in Spain. 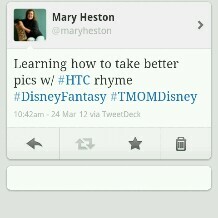 I loved how the HTC Rhyme was able to pick up the detail. Taking panoramic shots has been challenging for me in the past. On the HTC Rhyme this process is simplified by giving visual cues. 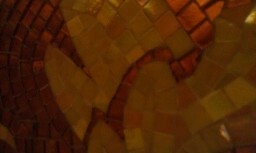 There is a line that goes across the middle of the picture with three dots along the way. 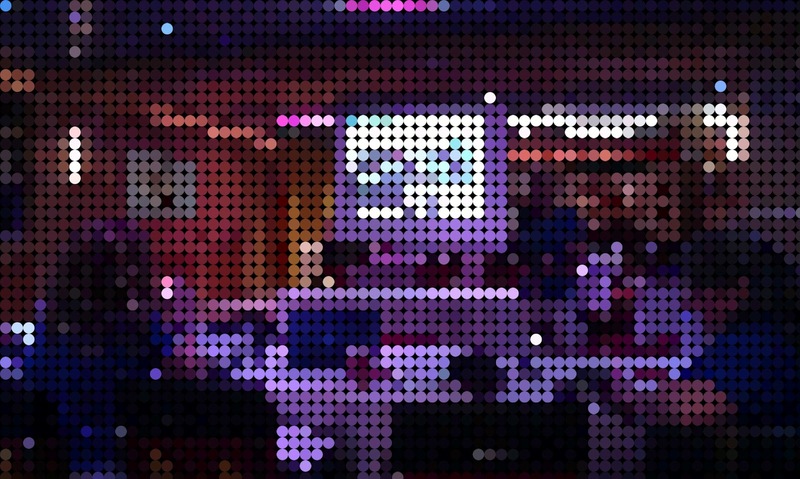 Just move your camera to follow the line and then click as you reach each dot. In the past my attempts at taking panoramic shots have been shakey and left lines in the picture where three pictures were seamed together to make one. It only took me one try to get a great panoramic shot with this cell phone. 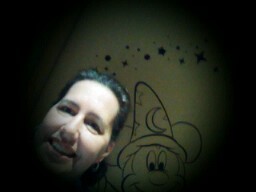 I sort of squished Kim's head in my first attempt but after that I was able to master the panorama. Finally, one of the things that made this cell phone so much fun to use as a camera was the ease of use for social networkers. It was a snap ( ok no pun intended ) to upload pictures to facebook and twitter. It was also easy to take screen shots of those posts. Traveling with kids can mean traveling with alot of gear. It's great to be able to travel light. The only thing that could make the HTC Rhyme a better all in one tool for the traveling, social networking, mom is if it were waterproof. 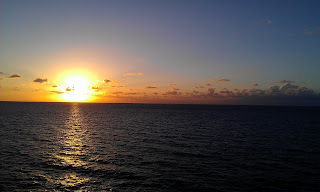 *All these pictures were taken by an amateur photographer on the HTC Rhyme cell phone with no child/teen supervision. Loving the cubed and that isn't a horrible photo of me. LOL. Hilarious how we got two of the same shots!